In love and romance, it is the couple’s moon signs that determine how well they will get on and if they will get their emotional needs met. In the list below, you can find out what the Moon sign compatibility is for Moon in Sagittarius. Sagittarius is connected to the Devil tarot card. Learn about what the Devil means in a tarot love reading here. Moon in Capricorn denotes a serious, hard-working, practical, and at times emotionally unavailable personality who cares a great deal about financial security and material comfort. Capricorn Moon and Aries Moon enjoys the abundance they can create together, however, this union does need some compromising from both parts. Both enjoys time alone, and when they come together, it is often to create more security. Sometimes this union becomes mostly about security, creating a relationship of convenience. Capricorn Moon can irritate Aries Moon with their insecurities, and Aries Moon tends to push Capricorn Moon buttons with their impulsive tendencies. Capricorn Moon with Taurus Moon is a good match that tends to last a long time, perhaps even a lifetime. If this match does not last, both parts can have a hard time letting the other go, and they can therefore quickly end up back together again. They have the same priorities in life, which if home, stability, routine, and career, however, there are some differences in their emotional markup. Taurus Moon can be lazy, while Capricorn Moon is never so. Capricorn Moon is hard working, and often very disciplined. They can help Taurus Moon be more disciplined, and in return, Taurus Moon can help Capricorn Moon have more luxury and pleasures in their life. Capricorn Moon with Gemini Moon can be a difficult connection to maintain. At best, these two can complement each other. Capricorn Moon is very serious, while Gemini Moon is humorous and don’t take things too seriously. Capricorn Moon can become too serious for Gemini Moon, but on the other hand, Gemini Moon can appreciate the achievements of Capricorn Moon. Capricorn Moon tends to overwork, while Gemini Moon enjoys to learn and explore, rather than anything routine. Capricorn Moon can benefit from Gemini Moon’s sense of humor and wit, but they also can feel that Gemini Moon is too irresponsible, especially with how they spend their money. This can be the case of opposite attracts. Capricorn Moon with Cancer Moon can work out, but Cancer Moon can often feel that Capricorn Moon priorities work before the relationship. Capricorn Moon can very much benefit from Cancer Moon’s caring and nurturing abilities, as Capricorn Moon can be too emotional detached. Cancer Moon also benefits from Capricorn Moon’s strength and ability to provide, especially materially. Both can be very stubborn, and when they have arguments, it can take the couple days of not talking before it is resolved. Both are also equally stubborn to make sure the relationship lasts, and this relationship can blossom when they have a shared project, home, and/or child to care about together. Capricorn Moon with Leo Moon is a match between someone who leans towards optimism (Leo Moon) and someone who leans towards pessimism (Capricorn Moon). Capricorn Moon is serious, while Leo Moon is playful. Capricorn Moon often internalizes emotions, while Leo Moon exaggerates their emotions. Leo Moon needs approval, while Capricorn Moon often comes across as more business like, and they don’t always share with you what they are thinking, leaving Leo Moon guessing. Leo Moon might crave more attention from Capricorn Moon. Capricorn Moon can learn to be more light-hearted and optimistic through their relationship with a Leo Moon. Leo Moon can learn to be more pragmatic and a better team-player though a relationship with Capricorn Moon. Capricorn Moon with Virgo Moon is a very compatible match as they both care about security, loyalty, work, and responsibility. They do tend to sacrifice their emotional needs so this relationship can become a bit dry, and they both can benefit from relaxing more and having more fun. Faithfulness is very much important to both Virgo Moon and Capricorn Moon so they feel very comfortable and safe with one another. Capricorn Moon with Libra Moon can be difficult as Capricorn Moon tends to be emotionally withdrawn and Libra Moon enjoys companionship, sharing, closeness, and loving conversations. Capricorn Moon can’t always provide the emotional need that Libra Moon so desperately craves. Capricorn Moon is a lot more emotional self-sustainable, while Libra Moon depends more on their partner and friends to feel whole and complete emotionally. Libra Moon can become across as too needy for Capricorn Moon. Libra Moon seeks fulfillment in relationships, while Capricorn Moon seeks this fulfillment in their work and achieving material success. Capricorn Moon can also more easily become workaholic, while Libra Moon seeks balance and will not devote so much time to just work and no play. Capricorn Moon can become too serious for Libra Moon. Capricorn Moon with Scorpio Moon can seem like two people who are very similar, but deep down, they are very different. They both tend to be quiet, but a Scorpio Moon is quiet as they hold on to their secret fears and intense emotions, while Capricorn Moon is quiet while repressing their inner child so they can take care of practical manners and work hard at being successful. Both Scorpio Moon and Capricorn Moon have problems trusting, and they also fear to show their vulnerable side. In fact, in Capricorn Moon, Scorpio Moon have found a partner capable of being very faithful and sincere. When these two decide to trust each other and open up to one another, it can become a very happy relationship. Capricorn Moon with Sagittarius Moon have some differences in their emotional and intellectual needs and their attitude to life can often be at odds. Sagittarius Moon tends to be very optimistic, while Capricorn Moon tends to be more cynical and pessimistic. Sagittarius Moon is so optimistic and trusting that they tend to take risks which can leave Capricorn Moon feeling very uncomfortable. Capricorn Moon worries about security and they are often very cautious and hard-working. Sagittarius Moon loves adventures, while Capricorn Moon enjoys their routine. Sagittarius Moon enjoys intellectual and spiritual pursuits, while Capricorn Moon enjoys their feet on the ground. 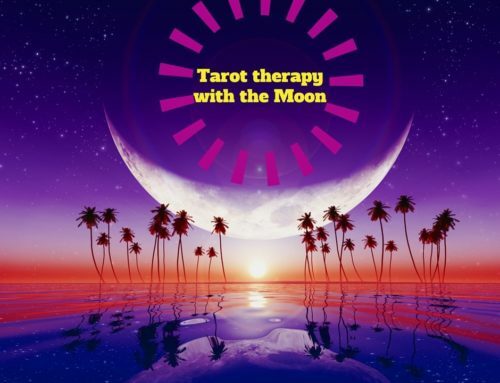 On a positive, Sagittarius Moon can lighten up Capricorn Moon, and Capricorn Moon can help ground Sagittarius Moon. Capricorn Moon with Capricorn Moon is a union between two people who tend to have a deep understanding of each other. They reinforce each other’s strength, but they also reinforce each other’s weaknesses. When one lives on the negative, the other can easily become miserable as well. Both tend to overwork as well, which can create difficulties with their family and home life. Capricorn Moon can easily become insensitive and emotionally distant, so when two of them come together, they tend to live more on the material and practical, rather than being emotionally open and vulnerable. When a Capricorn Moon union learns to lighten up and laugh, they can be very happy together. They must learn not to internalize too much and let the other person in. Capricorn Moon with Aquarius Moon is a match between two people who emotionally tend to be miles apart. Capricorn Moon cherish tradition and they enjoy doing what they know, and they often stick to their routine. Aquarius Moon longs to break free from tradition and they love change. Capricorn Moon is conservative while Aquarius Moon is unconventional. Both tends to be unaware of their own emotional needs, and they need to be more in touch with their feelings. At best, Aquarius Moon brightens the day of Capricorn Moon, and Capricorn Moon helps ground Aquarius Moon. At worst, they quietly drift apart, not even knowing what is happening before they are both miles apart. Capricorn Moon with Pisces Moon is a union between two people with very different emotional temperaments. Pisces Moon is very sensitive, while Capricorn Moon can be insensitive, and even out of touch with their own and others emotional needs. Because of this, they tend to meet the world in different ways. At best, they can complement each other. Pisces Moon might learn to be more practical, and Capricorn Moon might learn to be more empathic. At worse, they miscommunicate and misunderstand each other. Pisces Moon tends to want to help Capricorn Moon release their built up emotions, while Capricorn Moon tends to want to help Pisces Moon ground their creativity into something real and tangible. Brad Pitt, Johnny Depp, George Clooney, Amy Winehouse, Arnold Schwarzenegger, Ryan Gosling, Gerard Butler, David Beckham, Matt Damon, Jon Bon Jovi, Jennifer Love Hewitt, Liv Tyler, Michael Douglas, Reese Witherspoon, Dwayne Johnson.